CRKT Kommer 2-Shot. 7 1/4" overall. 3" 12C27 Sandvik stainless blade. Full tang. 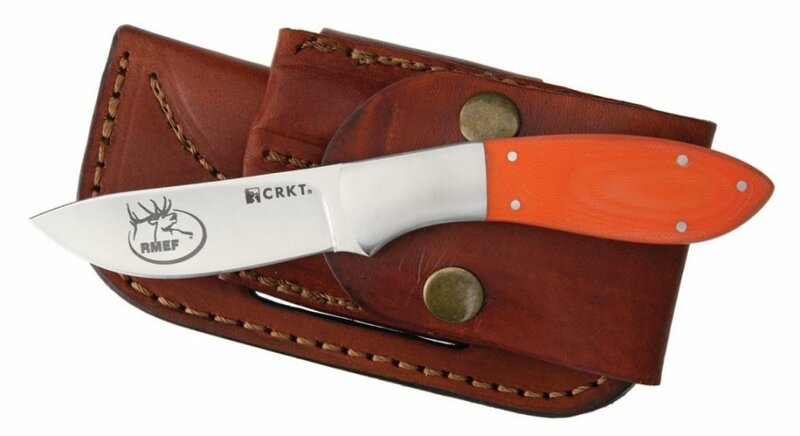 Orange G-10 handles. Polished stainless bolster. 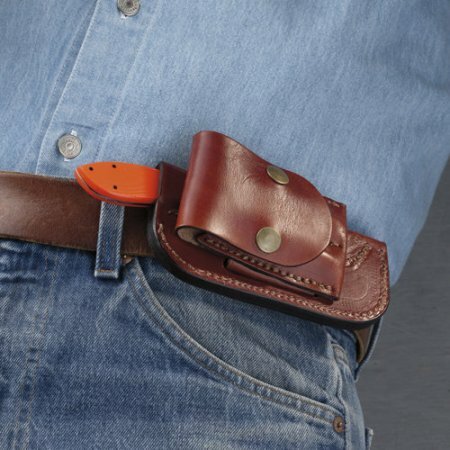 Custom brown leather sheath is convertible left or right. 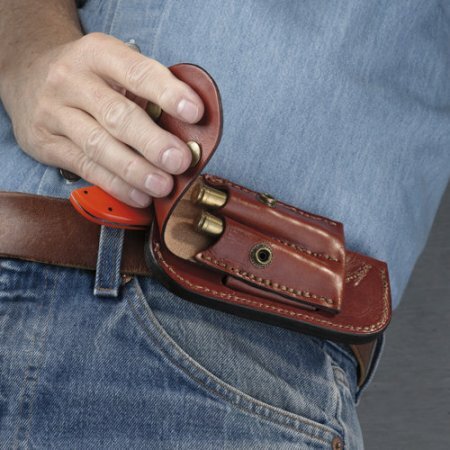 Horizontal carry keeps sheath out of the way of rifles and gear. Two separate front compartments for carrying two spare cartridges. Russ Kommer design.